Kyleigh Elizabeth was born into Jesus’ arms on April 5, 2012, after passing away during labor/delivery at 39 weeks at Liberty Hospital Birthing Center. She never took a breath, but she is changing the lives of so many. Kyleigh is survived by her parents, two big brothers and one younger sister. When Kyleigh passed away, we, her parents, started Kyleigh’s Gift through the Liberty Hospital Foundation. It was a way to keep her memory alive and recognize the loving care and support our family received during our loss of Kyleigh from the Liberty Hospital Birthing Center nurses, doctors and staff. What does Kyleigh’s Gift do? Kyleigh’s Gift provides infant wellness education and parental support to families at Liberty Hospital. Every baby born at Liberty Hospital Birthing Center leaves with a Sleep-Sack Swaddle to promote safe sleep. Sleep-Sacks in various sizes are available for purchase in the Liberty Hospital Gift Shop. Pack & Plays, diapers and car seats are provided for families in need. Meal vouchers are given to NICU and Peds moms during their child’s stay at Liberty Hospital. Up to three meal vouchers may be used per day. Miscarriage Care Packages are given to women who arrive at Liberty Hospital with a pregnancy loss under 20 weeks. The care packages are available throughout the hospital: Emergency Department, Surgery, Recovery & Birthing Center, making sure that no mom is overlooked. Bereavement resources are given to families in the Birthing Center who experience a pregnancy or infant loss. Books for mothers, fathers and siblings are available. A hand-painted angel figurine is given to families in memory of their baby. For specific details on each item, go to Kyleigh’s Gift Fund. The Kyleigh’s Gift 5K/3K Run Walk is held every October on the grounds of Liberty Hospital. This is our main fundraiser and a way to raise awareness of pregnancy/infant loss. A candlelight ceremony is held at the conclusion of the Run Walk to recognize National Pregnancy and Infant Loss Remembrance Day. More information about this year’s Run Walk can be found here: Kyleigh’s Gift 5K Run/3K Walk. As a family, we host a Kyleigh’s Gift Diaper Drive for HappyBottoms in honor of Kyleigh on her birthday. You can read more about each year here: 2014 Diaper Drive, 2015 Diaper Drive, 2016 Diaper Drive. Are Kyleigh’s Gift and the Kyleigh’s Gift Fund the same? Yes! The Kyleigh’s Gift Fund is managed through the Liberty Hospital Foundation. While Kyleigh’s parents are the founders of the Fund, the Foundation oversees it and manages the money in the fund. All monetary gifts given to Kyleigh’s Gift go into the Kyleigh’s Gift Fund~Liberty Hospital Foundation and are used exclusively for the Kyleigh’s Gift Fund. Liberty Hospital Foundation is the author of the LHF Facebook Page and the LHF website. 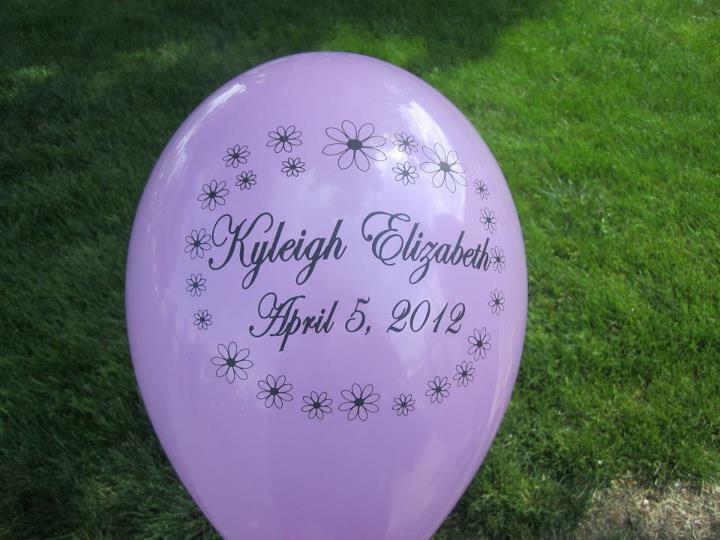 Kyleigh’s parents are the authors of the Kyleigh’s Gift Facebook Page and the Kyleigh’s Gift website. See below for how you can connect to Kyleigh’s Gift via social media. How can I keep up to date on what is happening with Kyleigh’s Gift? How can I contact Kyleigh’s Gift? Kyleigh Elizabeth~ thank you for being the blessing you have been to so many. We promise to look after your mommy and daddy and your wonderful big brothers! Today we all went to the Kite Festival and had a peaceful time celebrating the sunshine and watching the kites float just below you in heaven. My dear wife – thank you for setting up a place such as this. As with so many things (particularly of faith), it’s one thing to profess to be transparent, and another to act in such a way. This is a wonderful place for us to share our joy, sorrow, grief and happiness that results from the experiences that we have with our daughter. I’m blessed to be walking this road with you. I know exactly what you are going Aunt Pam sent me this link to try to help me. We just lost lost our little boy 10 days ago. He had a chrosome disorder that we knew about there is no survival rate we had him for 2 hours he passed in his daddy’s arm. I was not suppose to have him till Sept 29th so i have been angry that he came 2 months early i wanted all my time with him cause he was so active in my stomach alive and happy and i just wants to keep him that way. I miss him everyday. Thank you for making this page it helps to know i am not alone. Nicole ~ I am so sorry to hear about the loss of your baby boy. Pam is a wonderful lady and has been very supportive to me and my family during our loss of Kyleigh. You are not alone. I will be praying for you and your family. Thank you it has been so hard just going on day by day i feel like i am missing apart of me. I should be taking care of my little man not planning a memorial service for him. I am having a real hard time with that. Nicole ~ I felt the same way and still do. I should be taking care of a newborn, not visiting her grave. Know that your baby boy is safe in Jesus’ arms and knows no pain. He is perfect in Heaven! Please continue to contact me whenever you want to.